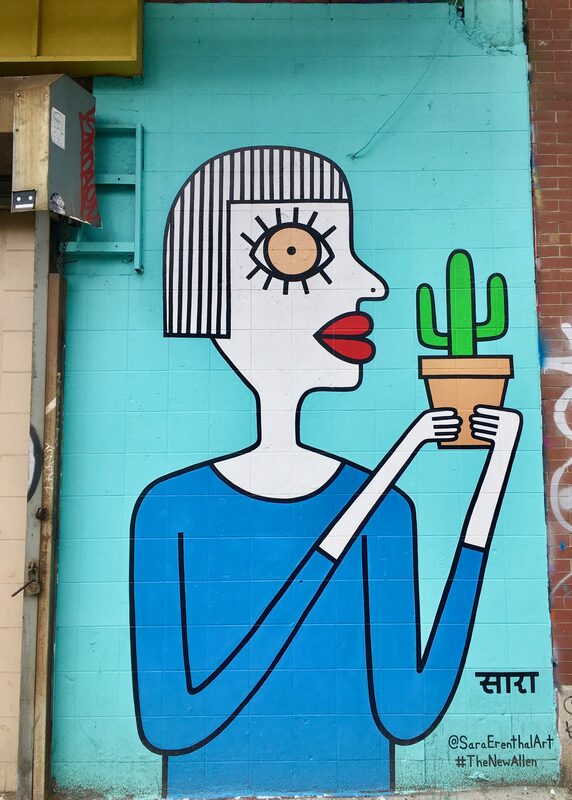 A lady holding a potted cactus seems like an apropos image to usher in the spring, but this mural by artist Sara Erenthal has actually been up since September of 2018. 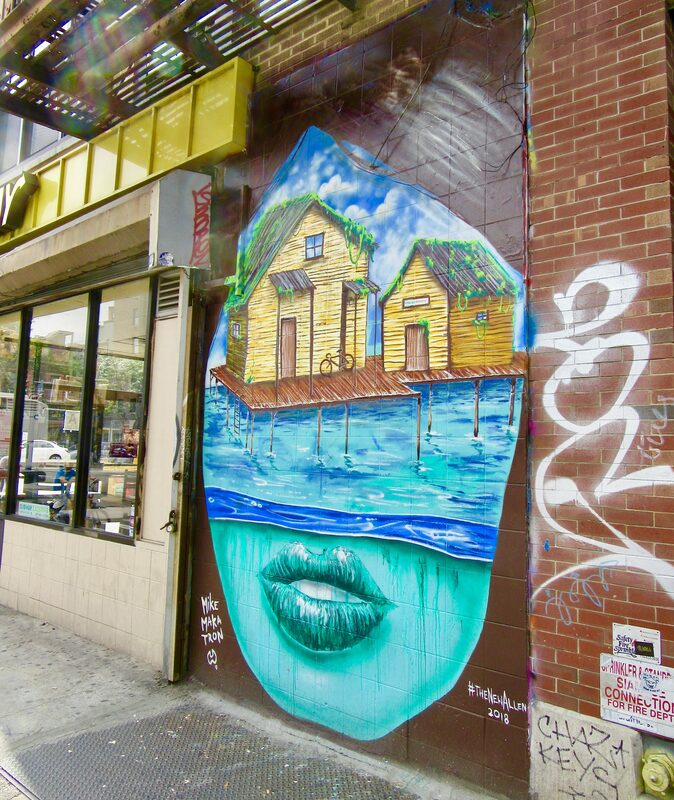 You can find this work at the corner of Delancey and Allen Streets, where you previously saw This Piece and This Collaboration! 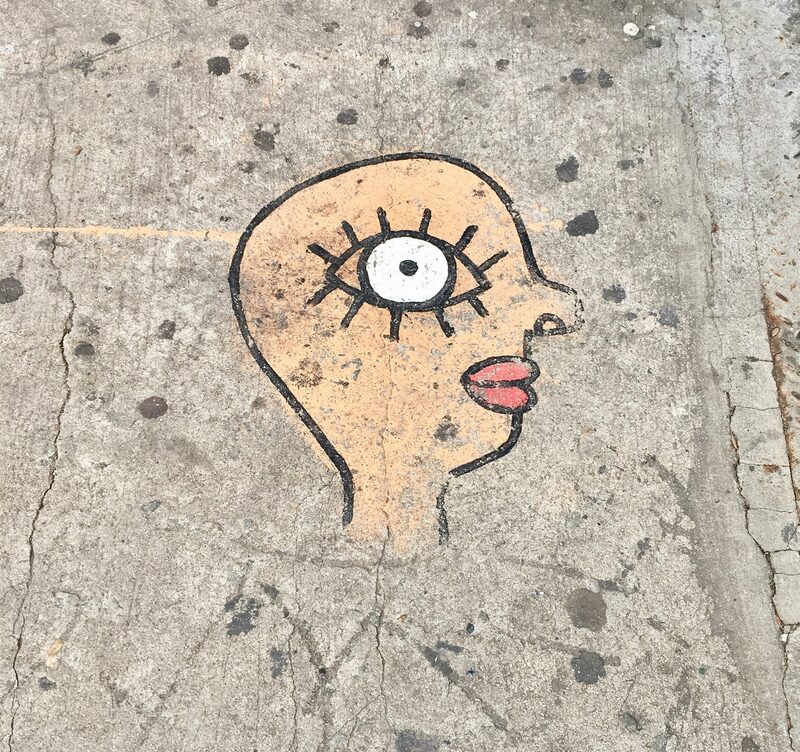 Sara even left this tag on the sidewalk near the mural, which is part of The New Allen project! 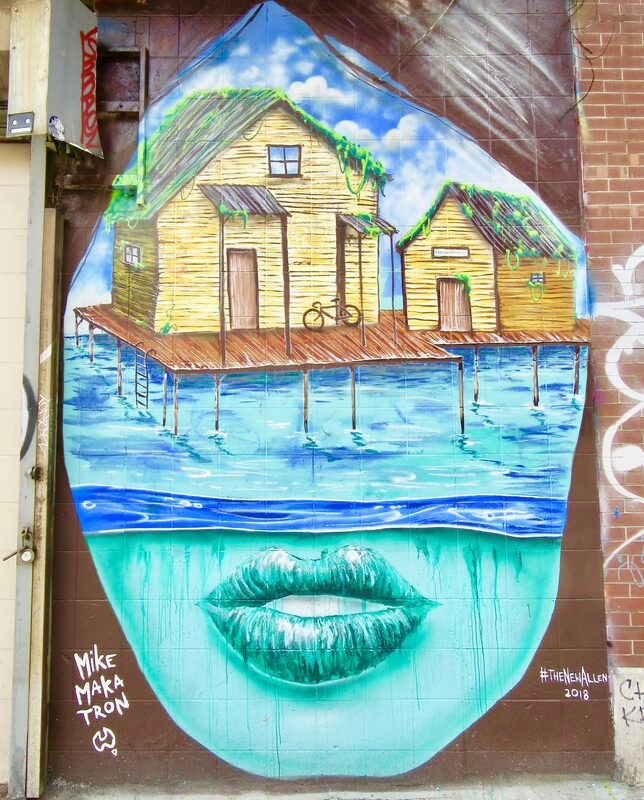 Melbourne, Australia-based street muralist Mike Maka (#MkeMakatron) ravelled a long way to make this visually-seductive contribution to NYC’s The New Allen mural project. 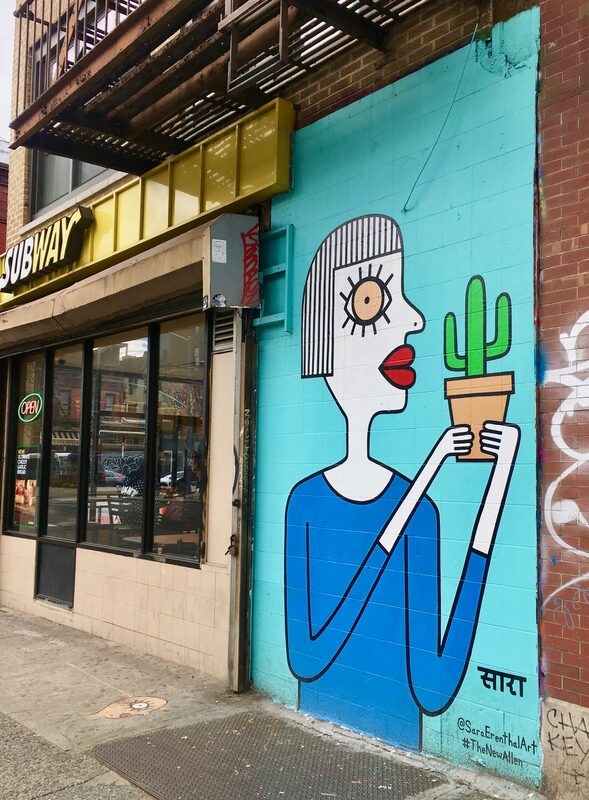 Find this lovely lady near the northwest corner of Delancey and Allen, just north of the Subway Sandwich Shop. As long as this stays up, it will remind us of the warmer day of summer, now that the cooler fall weather has arrived! 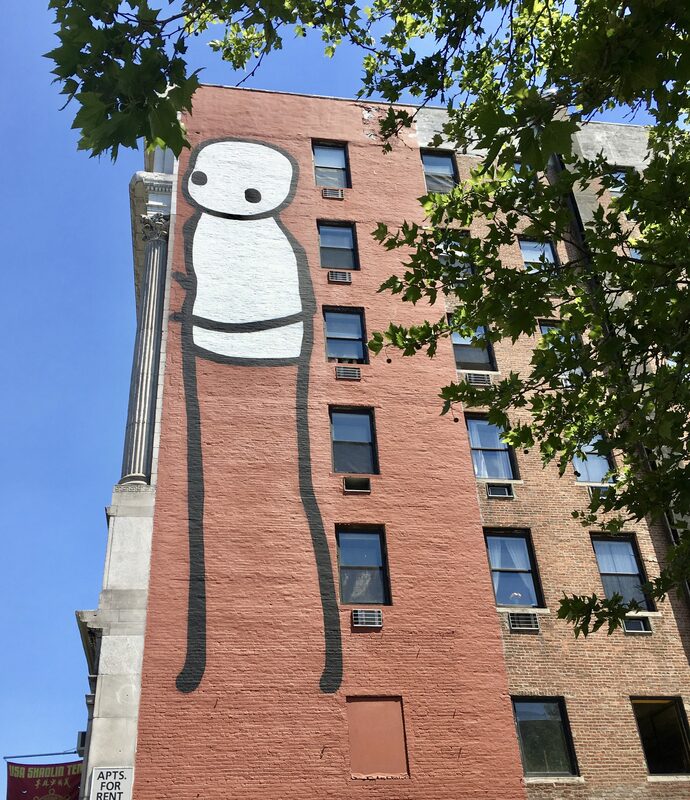 If this tall, minimalist figure by UK artist STIK looks familiar to you, it might be because you’re seen his likeness before Here and Here. 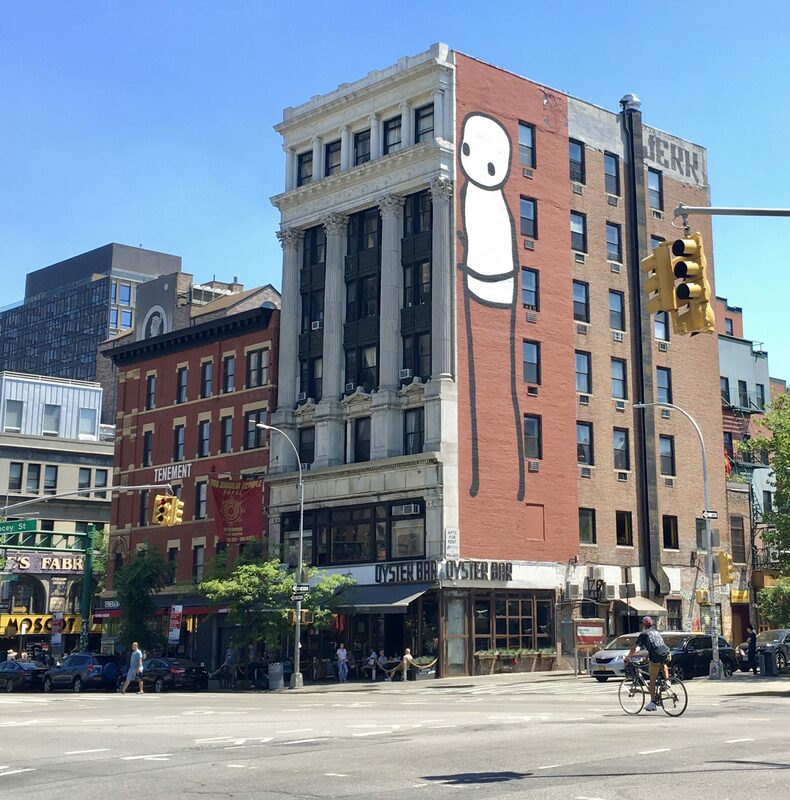 This mural, known as the Migrant, has been on view for a year already (since June of 2017) and can be seen on the seven story building at the southeast corner of Delancey and Allen Streets (which is also known as Avenue of the Immigrants). You can read more about the mural at This Link!